Earlier this week I was featured in this article in US News and World Report on whether you should see a non-diet or "regular" dietitian. 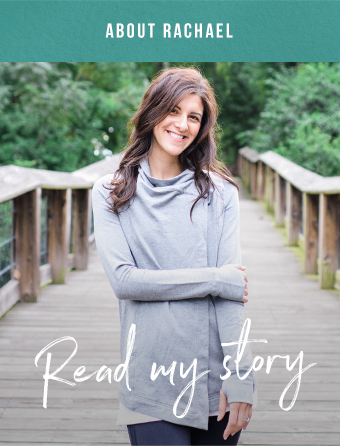 In it, I shared some of my story of transitioning from a traditional dietitian to a non-diet, or Health at Every Size dietitian. I've written a more in depth about that transition, and if you're an RD who is curious about a non-diet approach, I hope you'll go back and read my story. After I was interviewed for that article, I was thinking back to how I felt when I was practicing dietetics with a more "traditional" approach. Remembering those early days, it was such a contrast between the confidence I have today, and the deep sense of inadequacy and imposter syndrome I battled back then. I used to be convinced I wasn't actually very good at my job. Even though I had good rapport with my clients, and as an outpatient dietitian, my services ranked 97% as excellent in a year long patient satisfaction survey, I was plagued with this feeling that I wasn't actually helping anyone. To be honest, I don't know that I was really helping anyone. I know there were many patients I worked with who made healthy changes to their eating habits. For some, those changes may have actually stuck. But how many more felt discouraged, overwhelmed, and gave up entirely? In my almost five years working as an outpatient dietitian, I can't think of a single patient I worked with who lost weight and kept it off permanently. Sure, I had great rapport with the patients I worked with, and I was really good at teaching things like "good fats vs. bad fats" and "clean eating swaps" in an approachable way (please know that on the other side of this computer screen, my eyes have currently rolled to the back of my head). I wasn't as focused on weight loss as many of my peers ("weight loss is a side effect of healthy behavior change" was practically my mantra - there goes that eye roll again), and I knew enough to know that BMI was BS. Still, I was selling weight loss, and was convinced that shrinking someone's body was the key to health. I thought my approach was realistic, but what I now see as real is that by using the scale as a marker for success, and educating on food without addressing ones relationship with food, I was setting my patients up for failure, no matter how nicely I did it. I've talked to a lot of young RDs through the years who have felt discouraged in our profession. Looking back at my dietetic internship class, I think only half are still practicing as dietitians - most decided to become pharmacists or PAs. If you're feeling discouraged as a dietitian, I'm 1000% sure you are not alone. I really wish undergrad and graduate nutrition programs and dietetics programs would start training students in evidence-based practice (i.e. HAES! Read this for a good summary of the science if you're not convinced.) and helping them build the counseling and coaching skills needed to actually be able to help people. But they aren't. So as dietitians, we're left navigating this muddy water on our own. If you're like I was for many years, you're intrigued by intuitive eating and other non-diet approaches, but you're afraid to fully commit to a practice that doesn't sell weight loss. How will you get clients? What will the other dietitians at work say? How do I handle consults from doctors to educate patients on weight loss? What do I do with a patient/client who wants to lose weight? There's so many unknowns, it's easier to stay in the same place, uncomfortable as it might be. It was my experience that when I fully committed to a weight-neutral practice, that's when things really started to shift for me. My private practice grew and I started consistently attracting the types of clients I really enjoyed working with. Not only that, but I saw evidence each and every day that I was actually helping people live happier and healthier lives, and not just with food. We eat how we live, and as my clients built a healthier relationship with food, I saw how they were able to gain the freedom to pursue other hobbies, set healthy boundaries in relationships, and gain confidence in who they are as humans. There are still times when the work is incredibly challenging, and I think anyone who works with disordered eating will tell you there are times you question yourself, but I have too much evidence showing the work I'm doing is making a difference in people's lives. If you're a dietitian whose straddling both sides, I hope you'll take the full leap and commit to a health at every size practice. All the cool kids are doing it! 😂 But seriously, we need you, and the world needs you. There's too many people in pain, missing out on life as they pursue weight loss. You can make such a difference! If you need support in transitioning your practice, whether you're in private practice, clinical or outpatient, feel free to reach out! I work with dietitians doing career coaching, and I especially love to work with RDs who are switching to a weight neutral practice, helping them navigate that messy process.